Let Abeka use its vast educational experience to significantly decrease your preparation time and increase your success! A detailed lesson guide for each of the grade 1 subjects shows you not only what to teach and when to teach it but how to teach new concepts. You will appreciate the teaching tips, supplemental ideas for extra instruction, and schedules for classroom organization. 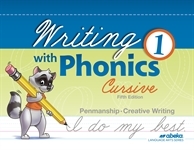 Includes easy-to-follow plans for phonics/language, reading, spelling/poetry, penmanship/creative writing, arithmetic, activity time (science, health, history, art, and music), and even help class for phonics and arithmetic. Since some schools combine classes for Bible instruction, our Bible curriculum is sold separately. Proven success. “Incredible!”—that is how the results of Abeka's proven systematic phonetical approach to reading have been described. Join millions of satisfied customers in enjoying the benefit of our more than 60 years of educational experience. Training in good learning habits and thinking skills. 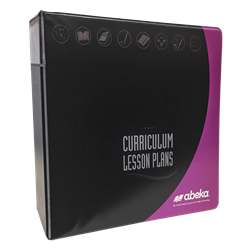 From the proper way to hold a pencil to good listening skills, Abeka's guidance assists you in establishing right learning habits and routines. Lessons incorporate opportunities for student interaction and higher level thinking questions. Features to make learning fun. What better way to retain new concepts than through singing them! And our 30+ practice/review games incorporated into lessons make first graders want to learn.